Les Compagnons de la Terre, Liege, Belgium. 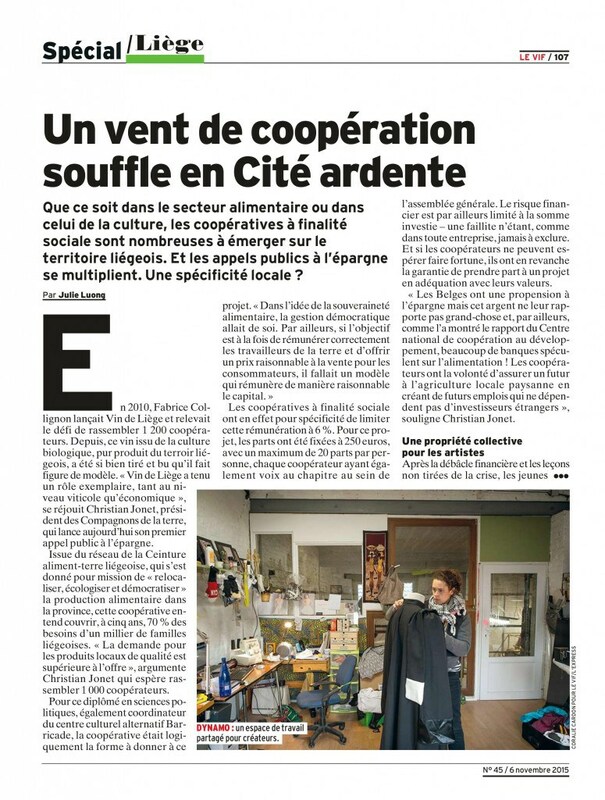 Ceinture Aliment-terre (French for “food belt”) was founded on the idea that meaningful change, on the scale of Liege, needs to be systemic change, and that requires thinking more entrepreneurially and professionally. 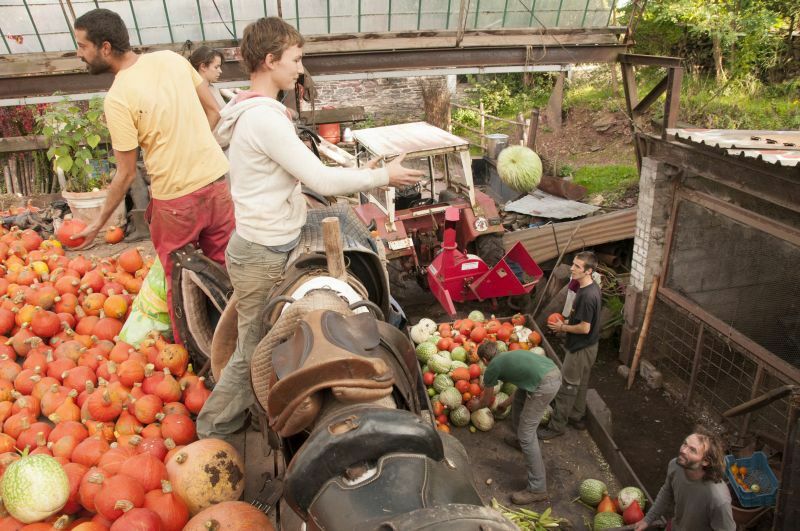 In a city with a long heritage of industry and steel production, much of the land within the city is too contaminated for growing food, so the idea of Ceinture Aliment-terre is to reconnect the city with its peri-urban land, and to use a revitalisation of local food production to reimagine the local economy. The region has lost many of its small producers in recent years as intensive agriculture has grown. It’s a story told in the video, above, made especially for 21 Stories of Transition. Several new enterprises are already emerging, one growing mushrooms on coffee grounds, one producing seeds, and the launch of a collaborative shop run by its members is being studied. 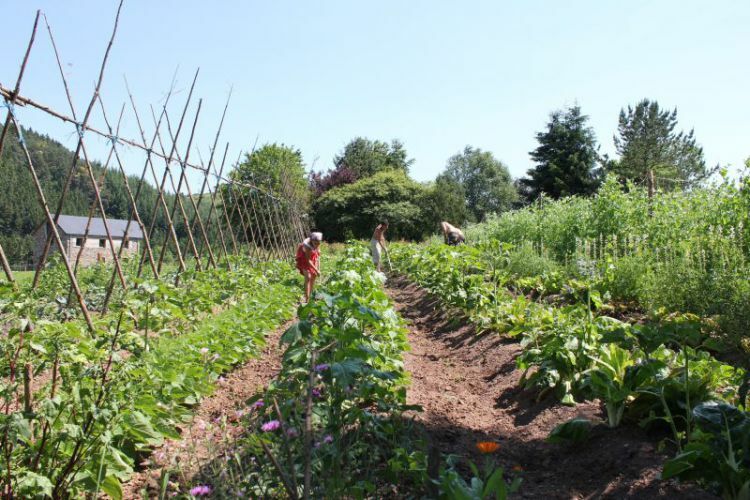 A pilot project of Ceinture Aliment-terre, the new cooperative Les Compagnons de la terre (‘Companions of the Earth’) has created two food gardens. One, at Ecotopia, a 10 acre (4 hectare) site on the edge of the city, already home to a group of artists, a Montessori Nursery School and a Community Supported Agriculture scheme, is already providing enough food for vegetable boxes for 40 families a week. A second garden, at a small ecological and pedagogical farm, is also underway. At present both are run by volunteers, but by the beginning of 2016 the cooperative plans to have created 3 paid jobs. The project brings in a steady flow of volunteers who haven’t previously been involved in Transition. In 2016, they plan to add a 74 acre (30 hectare) site too. Their aim is to create 20 quality local jobs within 5 years, a model which, if replicable across the region of Wallonia, could create 44,000 jobs. This could generate €3.9 billion by feeding 3.5 million people on one third of the area’s agricultural land. As we went to print with 21 Stories of Transition, we heard that the Co-op has already 150 members and has already raised €90,000. In addition to that, a private foundation, Terre de Vie, have just decided to invest €225,000 over the next three years ! 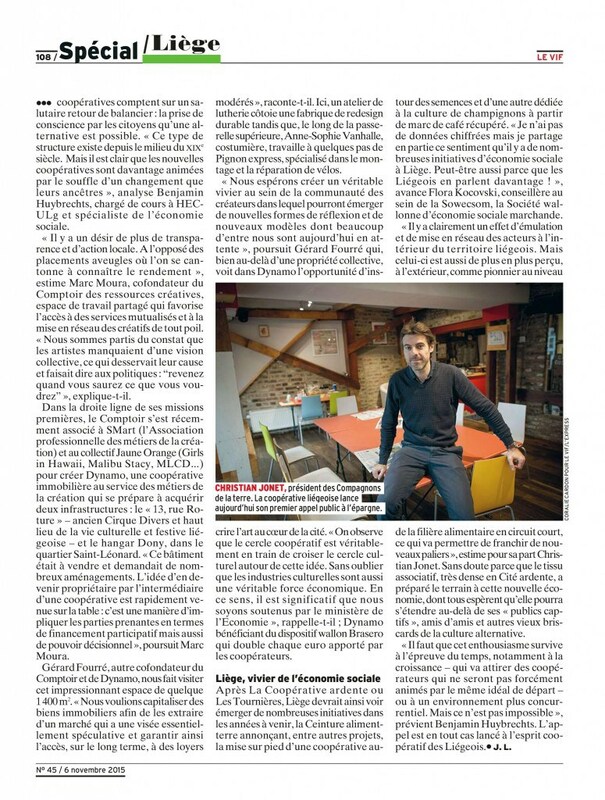 And Belgium’s main weekly magazine in the French-speaking part of Belgium (Le Vif/ L’Express) published a great article (see below) about the group’s “call for citizen investment”. "We need to move beyond the idea that there is, as Margaret Thatcher put it, “no alternative”. We want to show that the alternative can be serious, professional, and a real substitute to the economic model that exists now. This can create jobs and it can feed people". Christian Jonet, Liège en Transition. Read our ‘Essential Guide to Doing Transition’.